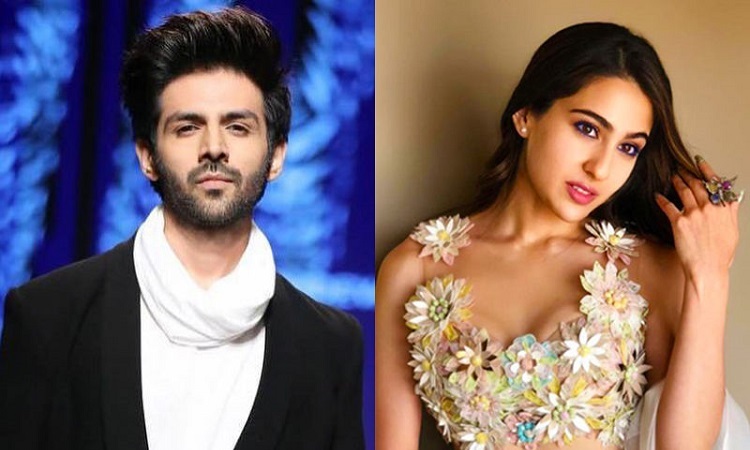 Kartik Aaryan and Sara Ali Khan have been the talk of the town since the actress on Koffee with Karan revealed having a crush on Kartik Aaryan. The actor has always been questioned about their relationship rumours but he is relatively quiet and shy about it. But now Kartik Aaryan who appeared on Koffee with Karan's latest episode along with his Luka Chuppi co-star Kriti Sanon feels that Sara has a brighter future than Janhvi Kapoor. When Kartik was asked about who he thinks will have a brighter future between Sara Ali Khan and Janhvi Kapoor, the actor said "Sir you know the answer, what I'm going to say... Sara"
Kartik even called Sara her bae and said: "Bae, play and Slay - I will play with Janhvi and Ananya and BAE is Sara". "I love Sara's wardrobe, I like her dressing style and the way she is", he further added. Meanwhile, on the work front, Kartik will be next seen in the film Luka Chuppi opposite Kriti Sanon and the actor will also be playing the lead in the official remake of Pati Patni Aur Woh alongside Bhumi Pednekar and Ananya Pandey.